Home / Ishita Dutta / Latest / Tanushree Dutta / Tanushree Dutta’s sister Ishita Dutta has finally broke her silence on #MeToo movement! 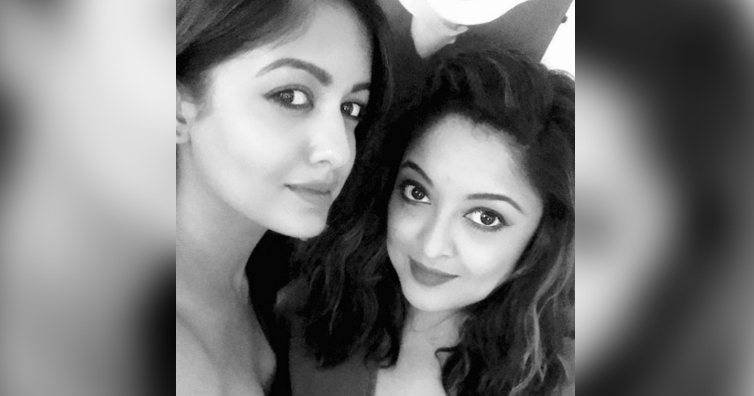 Tanushree Dutta’s sister Ishita Dutta has finally broke her silence on #MeToo movement! The controversy of Tanushree Dutta and Nana Patekar has left the entire nation in shock. The actress has recently accused Nana of assaulting her on the sets of Horn OK Please. Well now, Tanushree’s sister Ishita has finally broken her silence on the issue and said she is proud of her sister. Explaining her stance, she said that the problem is that a lot of people ask ridiculous questions and that makes her angry and she fails to understand on how she should react to it. Well, this is the reason that she stayed away all this while. “She is next to me, she is my sister, why should I put out a story on social media? I can tell her directly. Every day at home we are discussing things, what is happening, etc. My parents are there, my dad is doing all the legal paperwork and whatever else is required. Why do people expect us to show support on social media?.” added Ishita.